NATO and Russia: (only) a discursive opposition? NATO’s Warsaw summit (8-9 July, 2016) showed a “refreshed alliance for troubled times”, continuing to look for a proper approach to Russia. At the discursive level, the Euro-Atlantic security concept has been opposed to the Eurasian concept of security, encompassing the region of the former Soviet Union. Both NATO and Russia have expressed concern about the other’s activities in Eastern Europe and announced a transition to a policy of deterrence, declaring that the conditions for reinvigorating the former partnership currently do not exist. In addition, both have highlighted the importance of maritime security. While NATO reaffirmed its commitment to the defence of strategically important regions, i.e. “the Baltic and Black Sea regions, the North Atlantic, as well as (in) the Mediterranean”, Russia has likewise announced its intention to maintain a military presence in the Atlantic Ocean. According to Russia’s Maritime Doctrine, the Atlantic regional direction in Russia’s maritime policy encompasses the Baltic Sea, the Black Sea, the Azov Sea and the Mediterranean, where long-term goals are to be achieved. The Black Sea and the Baltic Sea are adjacent waters to both Russia and NATO, providing access to the Atlantic Ocean and NATO Allies and partners. Both house warm-water ports (Kaliningrad and Sevastopol) and Russian fleets (Baltic Fleet, Black Sea fleet). They are surrounded by Allies and partners, and NATO cooperation with partners (Georgia and Ukraine/ Sweden and Finland), including in the maritime field, has significantly intensified in recent years. However the practical civilian and military cooperation with Russia was been suspended in April 2014. However, despite the density of geopolitical competition in the eastern part of Europe, including in both seas, there are differences between them. Crimea’s annexation led to a substantial change in the security balance in the Black sea region. Russia aims to restore and secure its former strategic positions there, including through modernization of the Black Sea Fleet. It also plans to establish an “appropriate” and “permanent naval presence” in the neighbouring Mediterranean. The “frozen” conflicts in the region provide an additional leverage. At the same time, the current security context has led to the formation of different threat perceptions among Black Sea littoral Allies. Romania’s new National Defence Strategy defines, among others, destabilization of the Eastern neighbourhood and the perpetuation of frozen conflicts in the Black Sea region as key security threats. Bulgaria, being equally exposed to security challenges from the East and the South, maintains close security ties with the US, but also close cultural and historical ties with Russia. Ups and downs in Russo-Turkish relations also made the Turkish president deplore NATO’s lacking visibility in the Black Sea which may turn it into a “Russian lake”. In light of these developments, NATO has increased its presence in the Black Sea region, viewing Russia’s activities in the Black Sea as a geopolitical outreach to the Mediterranean. At Warsaw, Allies decided to adjust the Alliance’s strategy towards the region. They declared their readiness to support, “as appropriate”, efforts of littoral states to ensure security in the region. This is particularly important given the restrictions imposed by the Montreux doctrine on the presence of non-littoral states’ ships in Black Sea waters. The Black Sea flotilla project has been an attempt to enhance NATO’s presence in the sea in compliance with these restrictions. Though strongly supported by Romania, Bulgaria oscillated between a hard and a soft approach to Russia. The recent Russo-Turkish “détente”, visible in the possible revival of projects in the field of energy cooperation, may further impact on plans to increase NATO’s presence in the Black Sea. In response to increased tensions Lithuania has reintroduced conscription and updated its Military strategy, and Estonia’s president has called for a constant NATO presence in his country to deter Russia. Germany, though not completely sharing this threat perception, has so far not opposed a strengthening of NATO’s Eastern flank. Within Operation Atlantic Resolve, the US has conducted a number of exercises far outnumbering all exercises in the Black Sea region. NATO has equally conducted almost all of its major exercises in the region, followed by the decision to establish an enhanced forward presence in the Baltic states and Poland. According to Russia’s Maritime doctrine, Russia’s primary goals in the region are to develop coastal and energy transportation infrastructure and to lay the foundation for a long-term economic cooperation with the littoral countries, followed by the development of the armed forces and deployment systems for the Baltic Fleet. The situation escalated increased after Russia’s announcement that it would be “forced” to adapt its military build-up to NATO’s enhanced forward presence on the Alliance’s Eastern flank. In conclusion, despite the strategic importance of both the Black and the Baltic Sea, there are considerable differences between them due to different approaches and policy goals of Russia, of NATO as well as of individual NATO Allies. 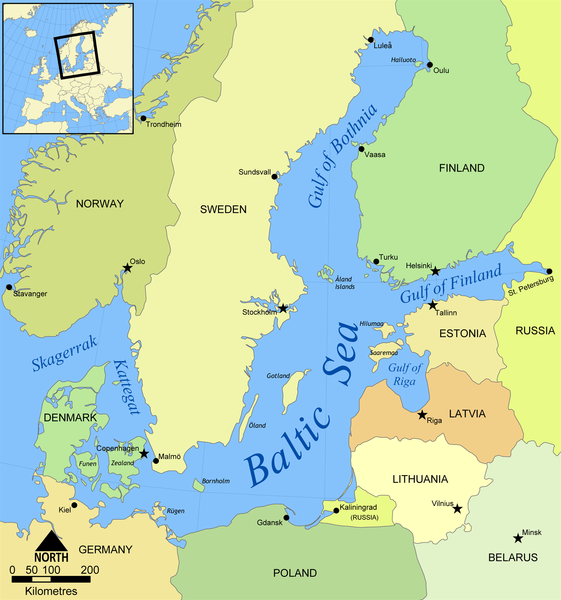 So far, NATO has focused on the Baltic Sea, responding to the heightened risks there. Whereas the Baltic states and Poland share approximately the same threat perception, seeing in Russia the main security threat, Black Sea littoral states have oscillated between a soft and a hard approach to Russia. Part of the explanation for these different approaches might be the US foreign policy in the region. The US response to security challenges in the Baltic Sea has been about the “credibility of its global foreign policy and position as a superpower, in which NATO and its obligations is one of several American commitments around the world.” In this context, the Baltic states, Poland and Germany benefitted the most from US Operation Atlantic resolve. However, due to the strategic importance of the Baltic Sea region for Russia, the considerable amount of energy transportation and the access it offers to the Atlantic, Russia might prefer to maximize its influence there by other means than intervention. In addition, despite concerns over Russian-speaking minorities in the Baltic states, EU membership and stronger economic performance might be less likely to make them vulnerable to the tactics used in Ukraine. In contrast, US support for the Black Sea countries consisted mainly in closer cooperation between air and naval forces. Frozen conflicts in the Black Sea region are an additional tool for Russia to project influence and to destabilize the region. Turkey’s position after the recent failed coup d’état attempt is still to be determined. The restoration of a strategic balance will also depend on achieving closer political views among littoral NATO Allies. Otherwise, the Black sea region might be the “only area under actual threat from existing Russian aggression”. In light of the above, the West should decide on a proper approach to the region. By doing this, it would contribute to efforts to prevent a regionalization of Black Sea Allies’ security and further consequences for Euro-Atlantic security. Lazar, Maria Sabina: Security Dynamics within the Black Sea region. A Study on the Amity-Enmity Specificity Of the Inter-State Interaction, Budapest 2015. Bugajski, Janusz/ Peter Doran: Black Sea Rising. Russia’s Strategy in South East Europe, Center for European Policy Analysis, February 2016. Bild 1: Karte NATO-Russland: Autoren: Ssolbergj und Patrickneil; Orginaldatei auf wikimedia.org; Lizenz: Creative Commons Attribution 3.0 Unported. 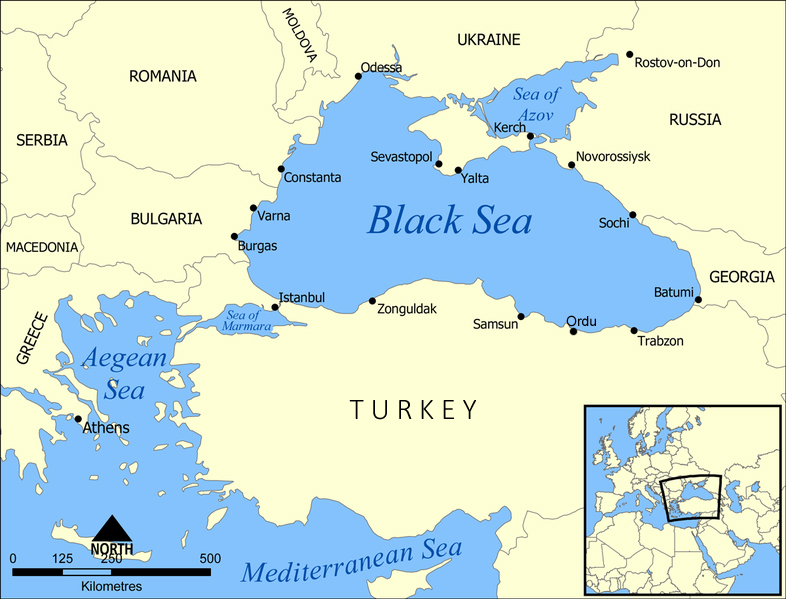 Bild 2: Map Balck Sea: Autor: NormanEinstein; Originaldatei auf wikimedia.org; Lizenz: Creative Commons Attribution-ShareAlike 3.0 Unported. Bild 3: Map Baltic Sea: Autor: NormanEinstein; riginaldatei auf wikimedia.org; Lizenz: Creative Commons Attribution-ShareAlike 3.0 Unported.